Eight small schools will play at Madras High School on Oct. 27 for football title. A football title will be decided at the Madras High School field on Saturday, Oct. 27. Joseph and McKenzie will square off for the right to claim the state championship in six-man football. Six-man football is new this fall to the Oregon prep landscape. 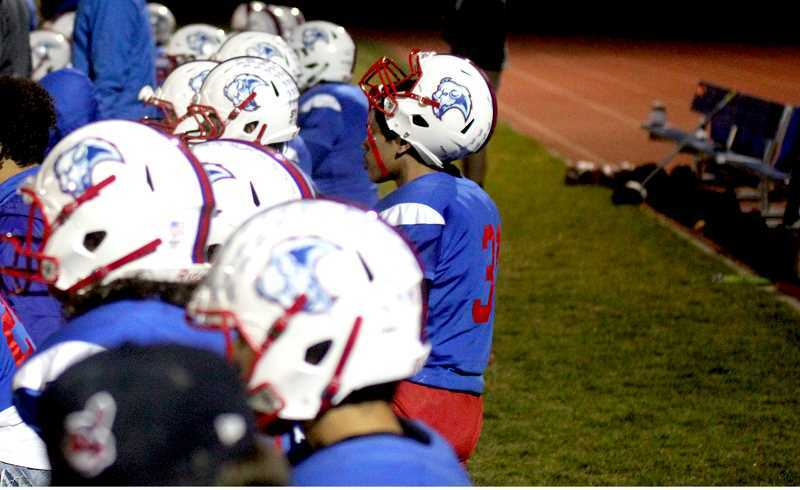 The Oregon School Activities Association (OSAA) allowed small-enrollment schools to determine on their own if they wanted to play six-man or eight-man football this fall. The plan was to allow schools that struggle to complete, or field teams, in the eight-man game to field six-man teams. However, since the six-man program is a two-year pilot program, by rule, the OSAA will not sanction a state playoffs. But that hasn't stopped the teams involved from creating one on their own. There are essentially two special leagues playing six-man this year. The top four teams in each of the leagues will square off in a one-day six-man football festival of sorts at the MHS field on the 27th. Beginning at 10 a.m., the two fourth-place teams will face off: Eddyville and either South Wasco or Echo. At 1 p.m., Either South Wasco or Echo will play Gilchrist. At 4 p.m., Powers and Harper will square off. The championship game will pit McKenzie vs. Joseph under the lights at 7 p.m.
Tickets will be $8 for adults and $5 for students. The six-man game is more wide-open than traditional or even eight-man football, with various rule differences (see sidebar). Among them, every player on the team is an eligible pass-receiver, and the player receiving the center snap cannot advance the ball past the line of scrimmage; the ball must be either passed or handed off to be advanced. Teams must also gain 15 yards for a first down instead of 10. The game often includes wild offensive formations. The six-man game hasn't been played in Oregon for approximately 50 years. Culver won state championships in six-man in 1955 and '56, and finished second in '54 and '58.